Usually, I review the single version of an IPA before I review the double version, but this time we're doing it backwards. Firestone Walker Double Jack Double IPA just made its way into Albany, which I reviewed back in August with Matt Stewart. But for some reason the little brother, Union Jack IPA, hasn't made it further north than Half Time Beverage in Poughkeepsie - which is where I got this bottle. I liked the Double Jack a lot, so I was curious to see how its (for lack of a better word) "lighter" incarnation would stack up. I poured a 12oz bottle into a tulip glass. Appearance: Pumpkin skin colored body, very hazy; forms a large, off-white marshmallow-like head which retains and laces very well. Smell: Standard West Coast IPA aroma of tart candy; a floral bouquet and tropical fruits. Taste: If I had drank Firestone Walker Union Jack IPA a year or two ago this probably would’ve blown my mind. 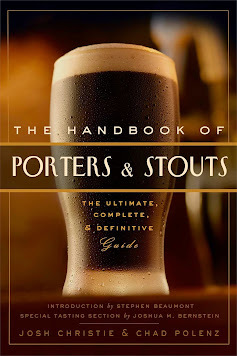 My readers should take in to account that I grade to personal preference and the individual experience of the tasting for the review and not "how good the beer actually is" (as if such a thing could be empirically measured anyway). This is a really tasty and enjoyable beer to be sure, but I’ve already had it before. It begins with sweet tropical fruit juice notes - mango, papaya, apricot - then gives way to a more syrupy, confectionary sweetness with a honey-like taste added. The bitterness comes through on the end, but it’s not sappy or piney like an East Coast offering. The aftertaste is both bitter and sweet - a battle between candy-like sugary sensation and sharp saltwater bitterness. It finishes mostly clean so the hops don’t dry you out and the sweetness isn’t cloying. What balance! Mouthfeel: Crisp, medium-bodied, fairly soft and comfortable. Drinkability: I’m not sure of the IBUs, but Firestone Walker Union Jack IPA is only 7.5% ABV - which is certainly a noteworthy weight, but nothing unusual for an American IPA. While a robust beer in all aspects, it’s also remarkably smooth, maybe even a little refreshing.